Yesterday I shared a bit of my past life journey with you. Today, its about the future and moving forward! Currently, my husband works full time driving semi for a hog company. He’s home every night and enjoys his work enough, but it’s not his ultimate goal. I currently work part time and am home with the kiddos more. As much as I love my children and spending extra time with them, I like to work too. So we have a goal to switch roles. Ross would love to farm full time and work on our land, and he’s much better at being an at home parent. He has patience that I don’t, or maybe he’s just better at ignoring the cries. I would like to have a full time job, providing the insurance our family needs and fulfilling my passions as well. We are not going to sit around and wait for our lives to fit into this roles. We are working to actively change our situation. I recently took a new position at our local high school as a para working in the special education department. Special ed. is something that I’ve always been interested in, but haven’t had enough experience in it to decide if it was something I wanted to do full time or not. I’m hoping this new job will give me that insight. If it is something I can see as a career I plan to pursue a graduate degree in the field in the next year or two. We have also been looking at our land and farm. We live on an 80 acre farm. This is enough land to raise some cows and crops for our own uses, but not really enough to make a living off of in the tradition farming sense. Thus we are looking into alternatives. One area that we are currently working on is our garden. We have a goal that within the next two to three years, we would like to be running our own CSA. A CSA is community supported agriculture. 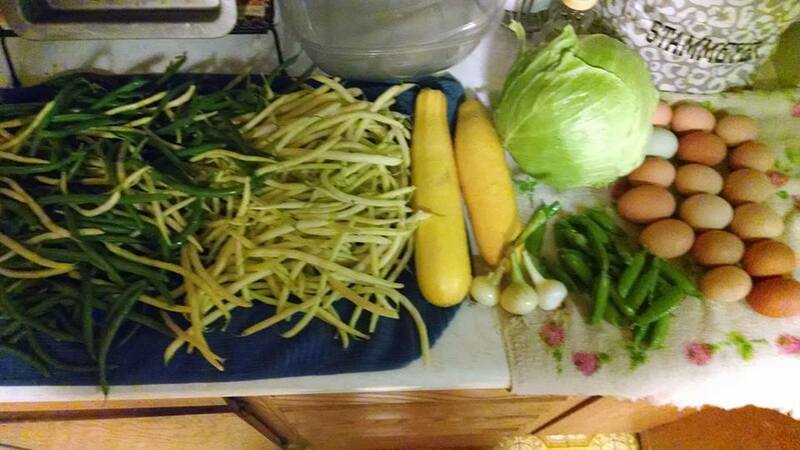 People would buy a “share” in our CSA, then we provide them with weekly produce from our garden. If you don’t know about CSA I would highly encourage you to look for one in your area. It’s a great way to support small businesses, locally grown products and get some great nutrition for your family. There is however alot of work and planning that needs to go into this. Right now we are experimenting with plant varieties and figuring out what we need to do to produce the best and most veggies possible. We have started in online farmer’s market to sell some of our goods in our area. Check out our group on Facebook HERE. My haul after spending just 20 minutes in the garden! Next, we are looking into expanding our chicken flock and egg production. We currently have about 20 chickens that we raise for eggs. Currently, these eggs go to family and friends. Some give us a donation for our eggs. All the egg money we raise goes into college funds for our children. It’s not much, but every little bit will help them someday! We have roosters and have incubated and hatched our own eggs over the past couple of years. Our chickens free range during the day, which helps keep the bug population down for our cows and makes for some great eggs. Our next step is to “chicken proof” more of our pasture (to keep our dogs and other predators away from our chickens during the day) and increase our flock size. We would like have raise about 100 chickens a season. We would sell the eggs and butchered chickens when the time came. 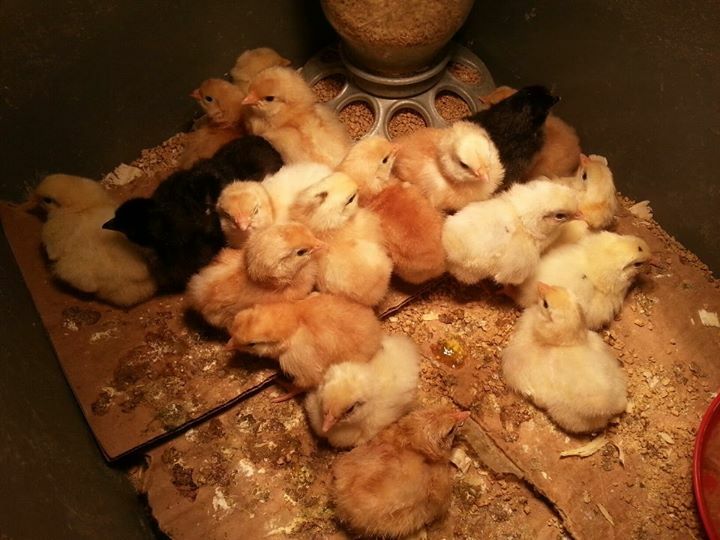 Some of our chicks from this last spring and a showing of our eggs! 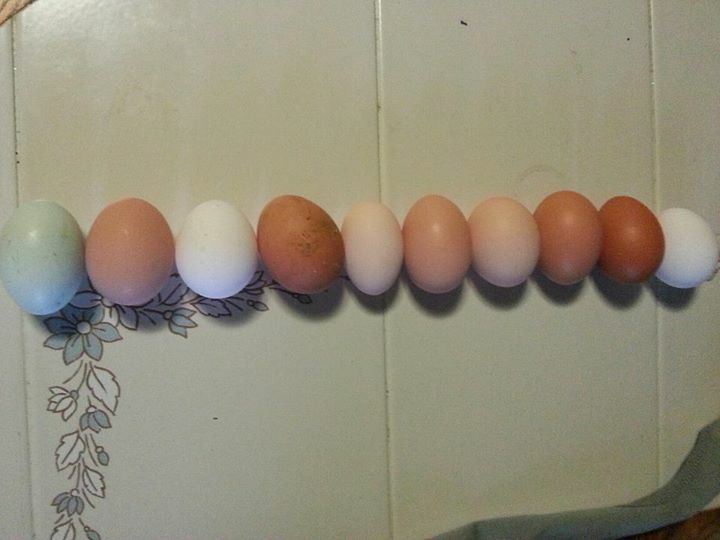 We have a variety of chicken breeds and thus have a variety of egg shape, sizes and colors! 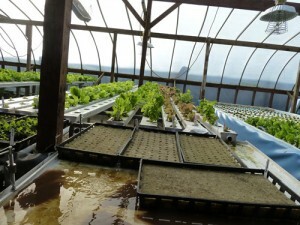 Lastly, we are looking into starting our own Aquaponics system. This is the venture that will be the most time consuming, most costly and most fun (I think anyway!) Here is my brief and simple explanation of how it all works: Aquaponics is a system where you raise fish, usually tilapia, in tanks. Then you filter out the solid waste, which is pumped through water troughs. 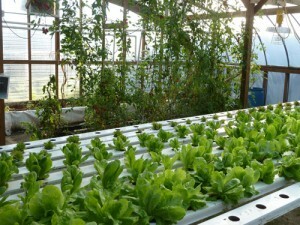 In the troughs are lettuce plants (and some times other varieties of plants) that grow off the fish waste. After that, any remaining solid waste is used as fertilizer to grow produce in a garden or media bed (basically a tub with small pebbles). When managed properly, the system is almost completely organic with very little waste byproduct. 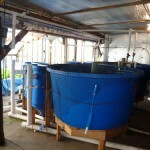 You are able to harvest fish, lettuce and other produce using a small amount of space. AND this system works (basically) year round! 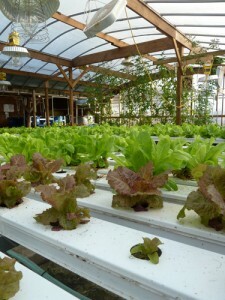 Our family went on a little get-away/camping trip a couple weeks ago to visit an aquaponics farm. We visited Early Morning Harvest in Penora, Iowa. First, I must start by saying how kind and generous the Hafner family was to us. They took almost three hours out of their busy day (every day on a farm is a busy day!) to sit and talk with us. They answered all our questions honestly and gave us tons of information to work with. And y’all, they have a cool farm. They have a mill that they make their own flour and grain products. They have honey. They have chickens. They have cows. And they have fish! If you ever get to the Penora area, especially on a Saturday morning, PLEASE go check out their store. Grandma makes some delicious cookies!! All the pictures below were taken from their website, please go check it out. Thank you again to Early Morning Harvest, Jeff and Shannon for your extreme generosity and kindness. We so appreciate you taking newbies with big dreams under your wing and helping us in the crazy adventure!! So, all in all, its going to be a long road for our family. But with a five year plan ahead of us, we hope that by tapping into a variety of areas, we can make the most of it. If we were able to do all of these bits & pieces, Ross would have to be working on the farm full time. And I’m sure that would make him very happy. So stick with us as we continue on this future in farming. P.S. We are currently working on a name/brand for our farm and the products that come from it… any ideas? ?